A whopping 1,743 players had traveled to Birmingham this weekend to test their mettle in Modern. And it was a new Modern too, the most modern Modern yet! For the recent release of Hour of Devastation had brought at least a couple of interesting options for existing archetypes, not to mention the possibility of combining Solemnity with Phyrexian Unlife for a brand new one. Claim // Fame was thought to give another boost to all kinds of Death's Shadow builds, particularly those involving Snapcaster Mage; Hour of Promise had been busy already, searching up Valakut, the Molten Pinnacle here and there and looking quite promising indeed; and Driven // Despair might just drive a few Dredge opponents to desperation. It remained to be seen whether these influences would do anything to challenge or to cement the status of Death's Shadow as the number one archetype, which had cast a long shadow on the format for so long. In any case, this tournament, together with the weekend's other event in São Paulo, marked the first time players could use Hour of Devastation at a Modern Grand Prix. Sure enough, we trained an eye on the battlefield specifically to watch out for any of the new cards. "I don't know how much of this can be attributed to Hour of Promise," said Jasper Grimmer, "but Titan Shift seems to be everywhere these days. It's crazy!" 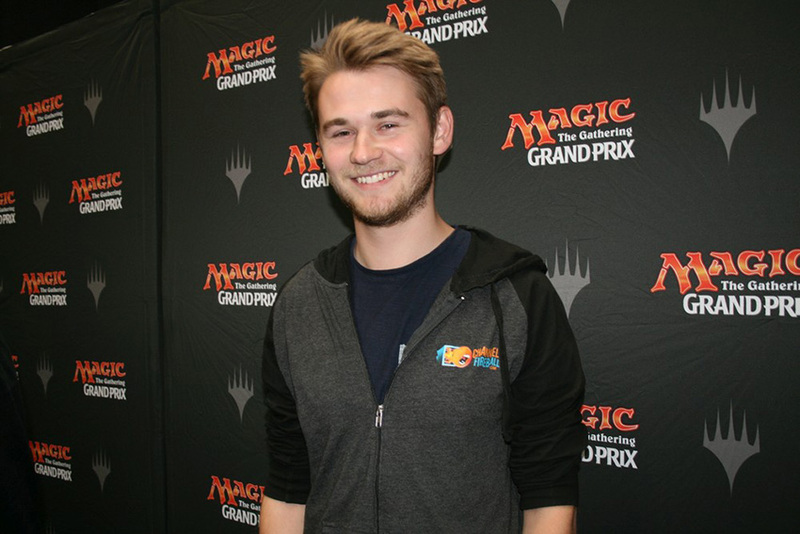 The three-time Grand Prix Top 8 competitor mused, "It may just be that the metagame is in a good spot for the deck right now, or that it had been underrepresented for a while. Not everyone is even running Hour of Promise after all, so it's not like the card suddenly pushed the archetype over the top or anything. But it certainly didn't hurt to get this extra option." Another card many people had high hopes for was Claim // Fame, but this one never lived up to the initial hype. Despite earlier claims to the contrary, its fifteen minutes of fame seemed to be up already. 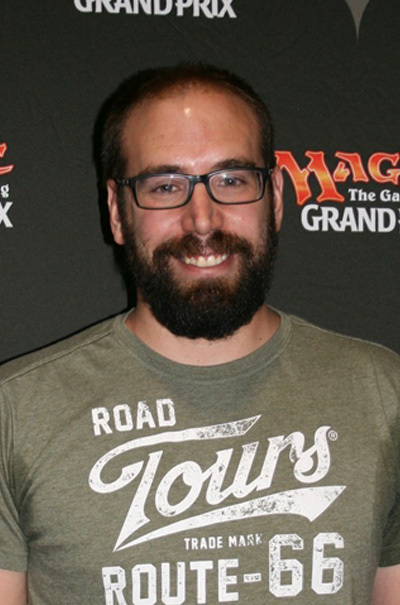 "Frankly, the card's terrible," Gold-level pro Marc Tobiasch who was running Grixis Death's Shadow himself said, with conviction. "Sure, you can come up with scenarios where it's going to be amazing. But I consider it effectively unplayable." He elaborated, "First of all, it's in your hand and does nothing. I mean, you only have eight targets. And if you don't randomly hit one of them with Thought Scour, Claim // Fame is going to sit there for a while. So you'll first have to play a Death's Shadow or Snapcaster Mage, which you do ... when? Turn three at the earliest? Turn four or five in some games? "Then the creature still has to die. Plus, haste isn't even that great often and getting back a reactive card like Snapcaster Mage on your own turn is rather unimpressive too. Finally, you'll almost always have to board it out because of all the graveyard hate floating about. You might even encounter Relic of Progenitus or Scavenging Ooze in the first game. So sometimes you'll have a situation where Claim // Fame could shine for once and then everything will be spoiled by the opponent after all." Tobiasch's conclusion: "It's nice to imagine what happens when you hit your Claim // Fame targets with Thought Scour. On average, however, the card is simply much worse than Kolaghan's Command." However, some brand new aftermath did happen. It just wasn't Claim // Fame but rather Driven // Despair. 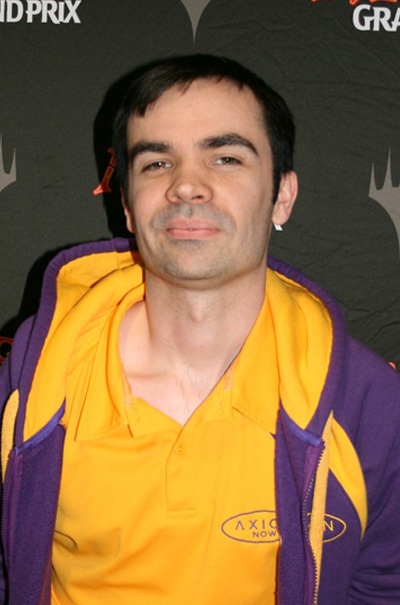 This card was picked up by a number of Dredge players, most notable among them Hall of Famer Raphaël Lévy. 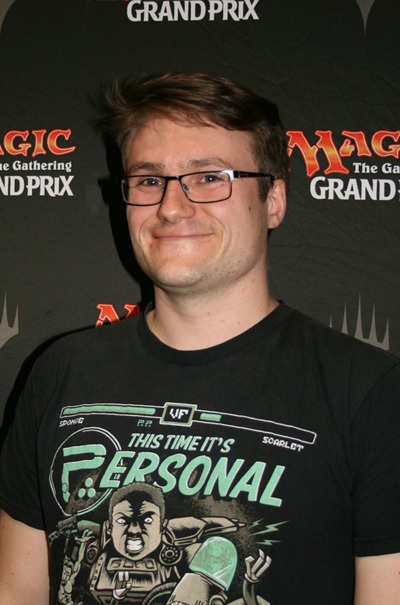 Lévy put the Despair side to great use in his Round 6 feature match against fellow Gold pro Simon Nielsen where it made Nielsen discard something like seven cards across two games. But the most important card in the matchup against Nielsen's Scapeshift deck, Lévy pointed out, had been another somewhat new aftermath card, namely Failure // Comply. He explained, "You're basically always one turn behind, but every Comply buys you a turn. If you can actually play the card from your hand and counter, it buys two turns!" In fact, Lévy went to a lot of trouble to punish his opponents' failure to comply. His latest iteration of Dredge not only had three copies of the card in its sideboard but also one Hallowed Fountain to go along with them. What decks did the experts choose? 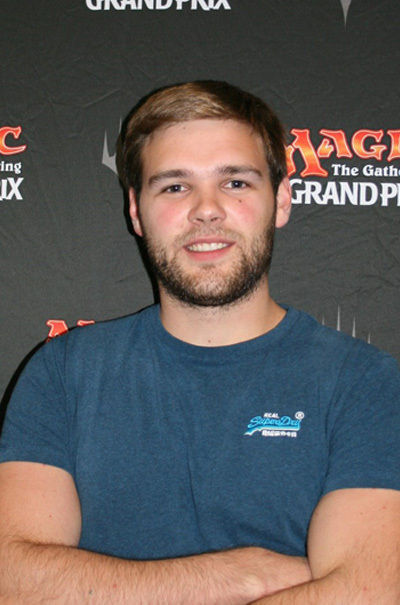 Seventeen players with three byes attended Grand Prix Birmingham to make for an almost literal one percent of the field: Hall of Famers Guillaume Wafo-Tapa and Raphaël Lévy; Gold pros Pierre Dagen, Ivan Floch, Steve Hatto, Thomas Hendriks, Grzegorz Kowalski, Joel Larsson, Niels Molle, Matteo Moure, Simon Nielsen, Mattia Rizzi, Petr Sochůrek, Ondřej Stráský, and Marc Tobiasch; plus two Platinum pros in (17) Javier Dominguez and (9) Martin Jůza. So where did all of these Eldrazi come from all of a sudden? And why? 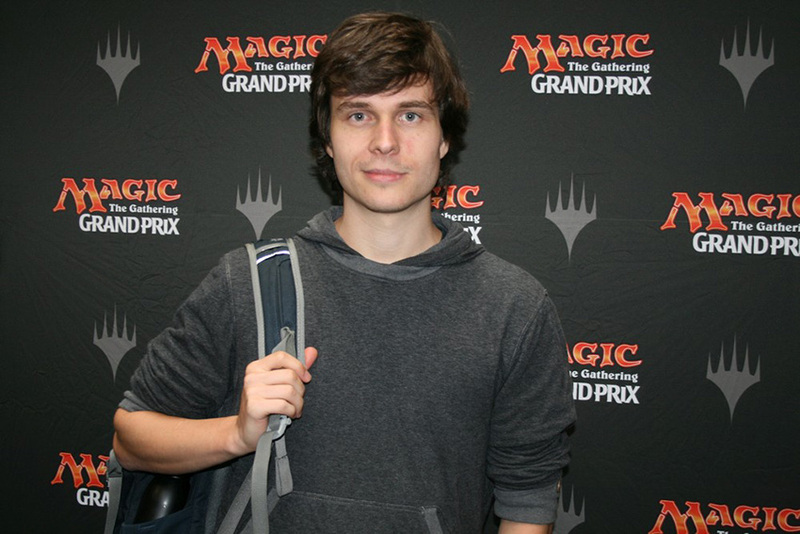 "I was surprised the deck was played so little until now," Ondřej Stráský told me when I asked him about the recent rise of the extraplanar menace in Modern. 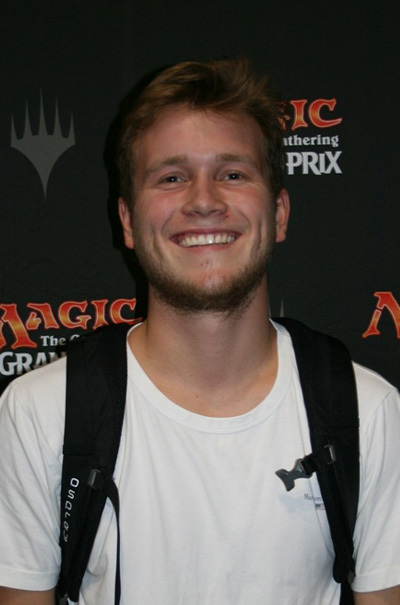 The two-time Pro Tour Top 8er was part of a small band of four Gold pros who all came to Birmingham with the completely colorless Eldrazi Tron. "We basically ended up with the deck because Sam Pardee told me to play it. He's got a pretty high opinion of the deck," said Stráský. "And it does some very powerful stuff, which is exactly what you want to do in Modern." He continued, "Apart from the obvious broken things, you have Chalice of the Void which is good, especially against Death's Shadow, and you have like the best mana base. Seriously, you never take pain, you never miss a color." 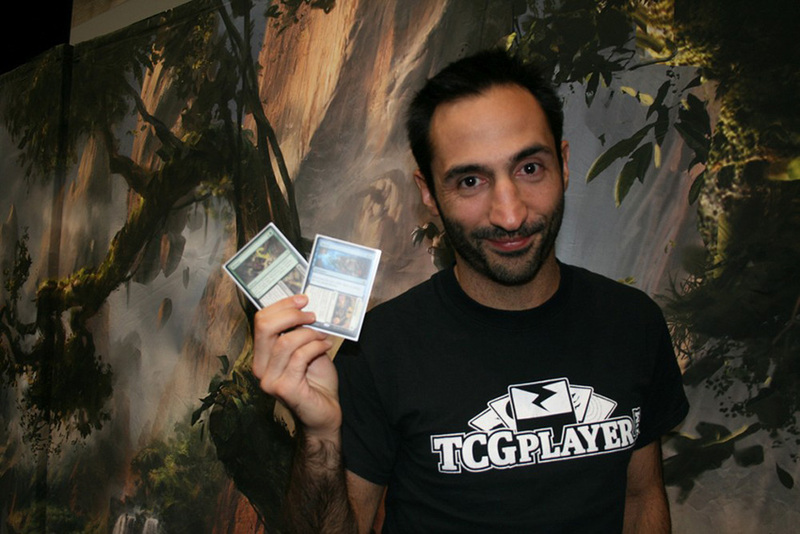 About Eldrazi Tron's position in the metagame Stráský said, "It's at an odd point right now. So many people have picked up on it, it might just be the top deck in the format. Either this or Death's Shadow. Then again, it's Modern; there are so many decks that people can't just invest a lot to target a single deck." Talking about matchups, Stráský mentioned that he considered his chances against Death's Shadow to be about even. "It's close. It depends on how they build their deck exactly. At worst, I'd say, it's fifty-fifty. Scapeshift is actually one of the bad matchups, but you can still get them with Thought-Knot Seer. Overall, I really like that you have game against everything." The list Stráský and friends were running only featured a few select updates. "We wanted to maximize our Eldrazi Temples. That's why we have three Endbringer. We cut some Karn Liberated which is great with Tron but really hard to cast otherwise. Finally, we have one quirky main deck inclusion in Basilisk Collar. May look weird, but gives you a huge edge in the mirror!" Only six of the original 1,743 competitors sported a spotless record after the first day's nine rounds. They would lead the field, cut down to 522, into the second day. Learn more about them, their decks, and their day below! Finals World Magic Cup 2016. What deck did you choose to play and why? Grishoalbrand. I thought the deck was unplayable (thank you, Death's Shadow) but I had no time to prepare a better deck. Navigate through turn one Relic of Progenitus, turn three Thought-Knot Seer, turn four Thought-Knot Seer, and somehow manage to win ... Lucky! 11-4 at Grand Prix Copenhagen. Hunting for better tomorrow! Junk—usually all Jund all the time, but love some Lingering Souls too! Ninth round, I played against another of our locals. Great to see our thriving Modern scene paying off. 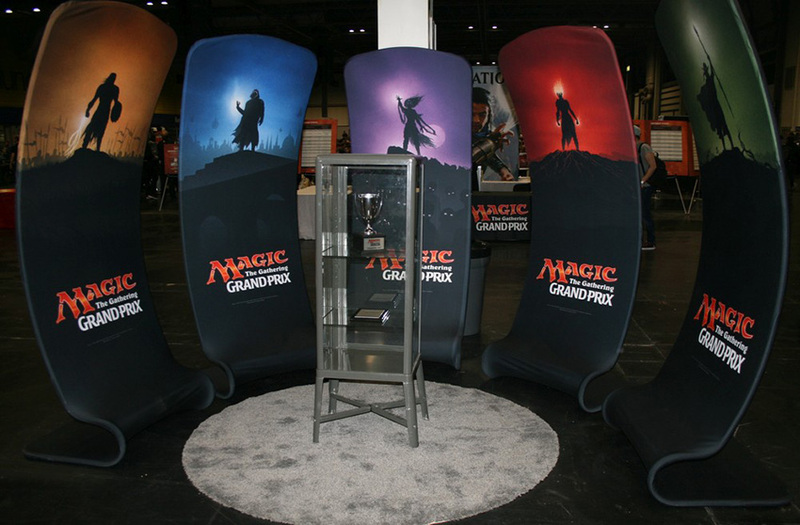 Grand Prix Gothenburg 2013 win, Grand Prix Manchester 2016 Top 4. Abzan Company because it is my kind of deck—mana dorks, Kitchen Finks, and multiple infinite combos. Also chose the deck because Chris Larsen is playing it and I wanted to prove that I am much better than him. Round 8, game three, my opponent discards my Collected Company instead of Vizier of Remedies. I have Devoted Druid on the battlefield. He then plays two Death's Shadow and a Gurmag Angler, putting me on a fast clock. I topdeck another Collected Company which finds me Duskwatch Recruiter and wins me the game. Ad Nauseam, because I have the most experience playing this deck and it's fun. In the very last game of the final round. I mulliganed to five. But my opponent didn't have much interaction. That way I could beat him and win the game. 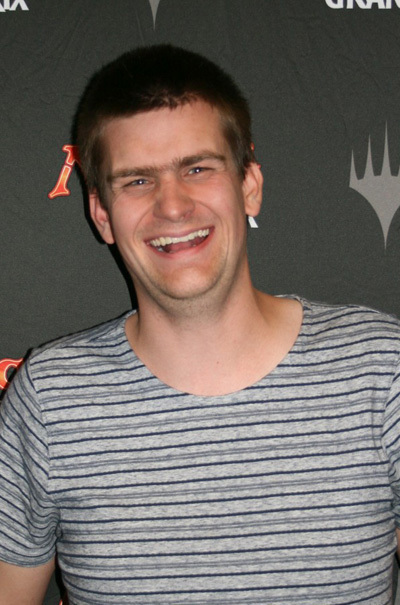 Played one Pro Tour and 4-0 against Brad Nelson on Magic Online. Grixis Death's Shadow. The deck is incredibly strong and the sequencing is very interesting. It´is likely the best deck in Modern so I don't know why you wouldn't play it. I played against a three-color Humans deck with four Mirran Crusader and four Magus of the Moon and managed to fade a land from my opponent in order to protect a Liliana, the Last Hope and ultimate her to win the game. If you can beat that kind of hate you know you're having a good day! Bant Knightfall Humans. I think that the deck is very good in this metagame. Last game in the feature match I had the win condition in hand and saw through Lantern of Insight that I had the land to cast it on top of my library while my opponent had Inquisition of Kozilek on top of his ... but I drew first!